News just in from Fred Olsen…. 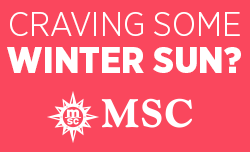 Selected cruises for 2015 and 2016 are being offered with either no single supplement or 50% off the supplement. This represents fantastic value for money as those of you who travel alone will know the single supplements can be as much as double! When travelling with Fred Olsen you will have the opportunity to meet other solo travellers on board at exclusive gatherings and arrangements are normally made to seat you on tables together for dinner. 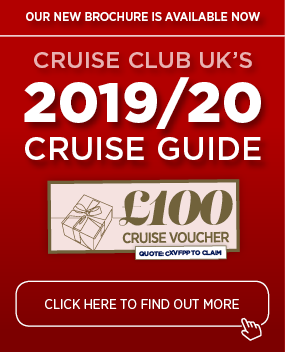 I know this can be a worry if it is your first cruise on your own so this gives you the peace of mind that you won’t feel isolated and is a great way to make new acquaintances. In addition, the staff can make arrangements for companions when going ashore and even a dance partner for you in the evenings, both male and female. Due to the relatively small size of the ships in the fleet the feel on board tends to be relaxed and friendly so you will made to feel very welcome by all on board. I can personally highly recommend Fred Olsen for solo travelers as I booked my Auntie recently with them to the Caribbean. This was her first cruise alone, and she was understandably apprehensive prior to departure wondering if she would feel like an outsider or be sat on her own for dinner in the evening. I assured her this would not be the case but the doubts remained. On her return she called me to tell me all about it and she had a fantastic time, which I had no doubts about! She met some lovely people on board with whom she went ashore with and had dinner with in an evening and loved the activities and entertainment on board. It turned out one of the ladies she met lives close by so they have kept in touch and are planning to cruise together in the future! If you are looking for a late deal there is a 14 night fly cruise on board Braemar departing 12th November to Cape Verde and The Canary Islands. Based on flying from Gatwick, Ocean View cabins are starting from £1749 for single occupancy which is no single supplement! These offers are sure to sell quickly so if you would like prices and details please give me a call on 0161 7982506.